Satish Reddy, DDS, MS, General Dentist and Owner of 3020 Dental Associates has been working in the Albany Park/Old Irving Park area for more than 10 years. Dr Reddy received his Doctor of Dental Surgery from the Loma Linda University, School of Dentistry in California. Dr Reddy completed a Fellowship in Oral Surgery at the Royal College of Surgeons in England. 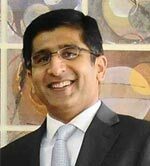 Dr Reddy has a Masters in Dental Surgery from the Nair Hospital Dental College in India. While at Loma Linda University, he distinguished himself with an Award for Excellence in Clinical Achievement. During 2013, Dr Reddy completed a 1-year post-graduate Master Clinician Course in Implant Dentistry at the University of California Global Institute of Dental Education. Dr Reddy and his family live in the Chicagoland area. 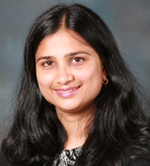 Dr. Sumita Bhargava, is a General Dentist and Associate at 3020 Dental. She is a dentist who has taken specialty training in treating children. She attended the University of California International Dentists Program in San Francisco where she graduated with honors. Prior to this, Dr. Bhargava completed a Master of Dental Surgery in Pedodontics and Preventive Dentistry at the King George’s Medical College. She also completed her Bachelor of Dental Surgery at the King George’s Medical College. Dr. Bhargava is a licensed dentist in the state of Illinois. She is an active member of the dental community. She is a member of the American Dental Association, the Illinois State Dental Society, the Chicago Dental Society and the California Dental Association. In her spare time, she enjoys painting, sketching, cooking, dancing and learning new arts and crafts skills. Dr. Bhargava speaks English, Hindi, basic Arabic and she is learning Spanish. 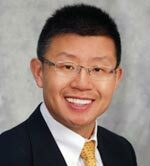 Jianjun Hao, DDS, MS & PhD is a Diplomate of American Board of Orthodontics and an Associate at 3020 Dental. He was trained in the College of Dentistry at the University of Illinois at Chicago. He was a clinical assistant professor at University of Connecticut Health Center before joining 3020 Dental. He taught orthodontic residents and practiced in the faculty clinic in the division of orthodontics at the university. He is proud of being a board certified orthodontist when only 25% of practicing orthodontists have even achieved this certification. "Hollywood broad smile is my treatment goal. I am confident I can help you accomplish this mission effectively and efficiently." Dr. Hao’s wife, Dr. Lihong Lin is an orthodontist too and practices in Chicago and Wilmette. Their son is a student in Lane Tech High School. Dr. Hao is a Boston marathon runner. He is learning Spanish. 3020 Dental Associated is now accepting new patients.